“I ask not only on behalf of these, but also on behalf of those who will believe in me through their word, that they may all be one. As you, Father, are in me and I am in you, may they also be in us, so that the world may believe that you have sent me. The glory that you have given me I have given them, so that they may be one, as we are one, I in them and you in me, that they may become completely one, so that the world may know that you have sent me and have loved them even as you have loved me. Father, I desire that those also, whom you have given me, may be with me where I am, to see my glory, which you have given me because you loved me before the foundation of the world (NRSV). I have taught evangelism for many years. I have also tried to practice evangelism since I was twelve years old. I have traveled thousands of miles to preach Christ and to make him known to tens of thousands of people. Some of these people had never even heard the name of Jesus from a minister! 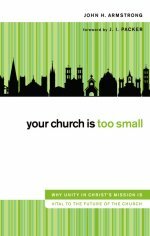 I have spoken to a crowd as small as a single person, to churches of only a handful, to mega-churches, to churches of almost every denomination (including Catholic) and to stadiums of people numbering nearly 20,000. Why? Because I believe in the public proclamation of the good news; i.e., I believe in the preaching of Christ and the gospel. But it wasn’t until 1992 that I discovered what this text in John 17 says so very plainly. Jesus wants his people to be “one” as he was one with his father “so that the world may believe that you have sent me” (NRSV). He prays for us to ”become completely one, so that the world may know that you have sent me and have loved them even as you have loved me” (NRSV). Note: the world will “believe” and “know” when we live as one! I think this is what several great Christians have meant when they said we must preach the good news in all circumstances and when necessary we should use words. This is not a way of saying that words do not matter. It is a way of saying what John 17 says so plainly – if all we have is words we will never convince the world to receive our message of good news. We must live the good news. When we live it we can also preach it and God will use it to transform many. Sandy Crown Brinks liked this on Facebook. Katherine Elizabeth Blackmon liked this on Facebook. Greg Grigsby liked this on Facebook. Anita Siml Armstrong liked this on Facebook. BG Allen liked this on Facebook. Maurice Hagar II liked this on Facebook. Working cross-culturally as I do, love is the most important apologetic – 84% of Muslims who come to faith in Christ, say it was because of the love of a Christian. We need what one friend of mine calls an incarnational apologetic – letting our love shine before man. Love as an apologetic has also become part of the Postmodern Christian apologetic, with the old logic based arguments being discarded (see Penner “End of Apologetics”). The power of a corporate apologetic of love will be the must powerful since it is Jesus who directs us to walk in this way, together. If only we would listen. Brett Bonecutter liked this on Facebook. Oscar Carmona liked this on Facebook. Ryan J. McGinnis liked this on Facebook. Jim Leftwich liked this on Facebook.